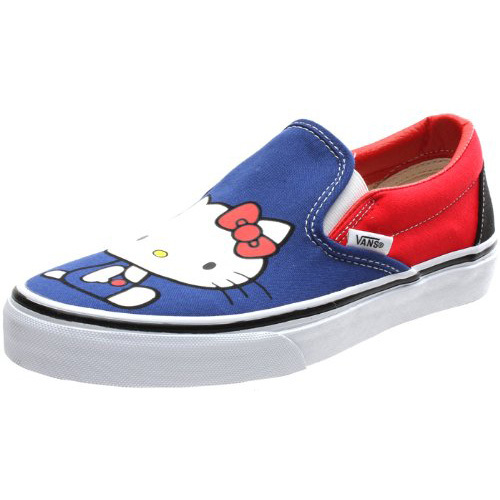 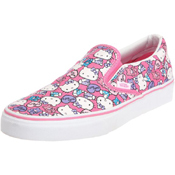 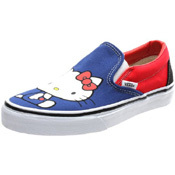 Vans VN-0QFD66X Classic Slip on Hello Kitty Azalea Pink/True White. 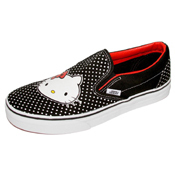 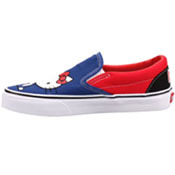 You can not say these are not extremely cute shoes! 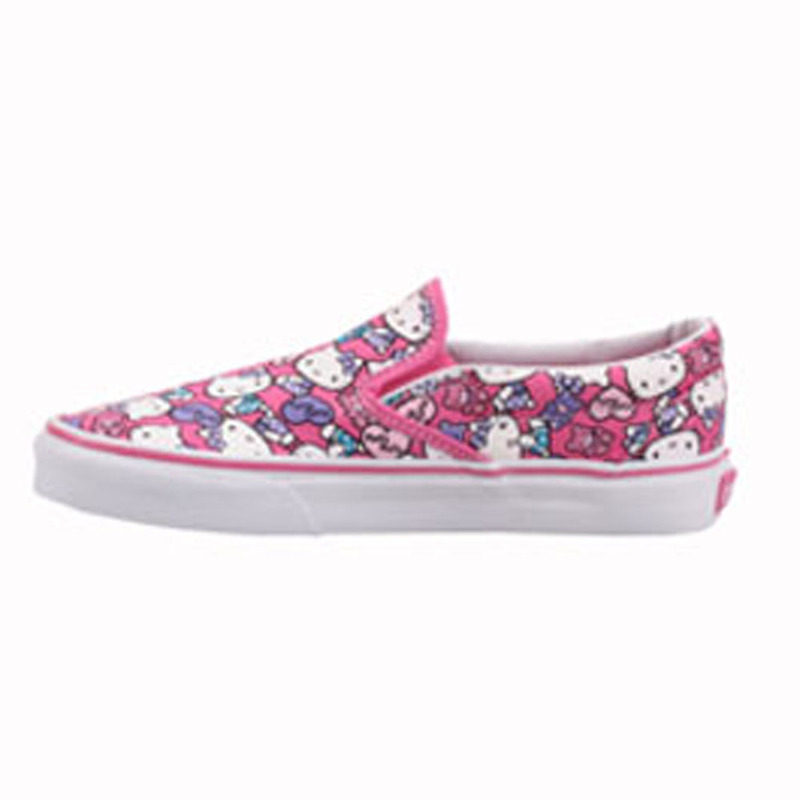 The intricate Hello Kitty Design in Pink and Purple brings you back to your childhood - If only they lit up! 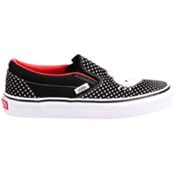 As a Vans slip on, they come reinforced with leather around back to keep them strong and durable. 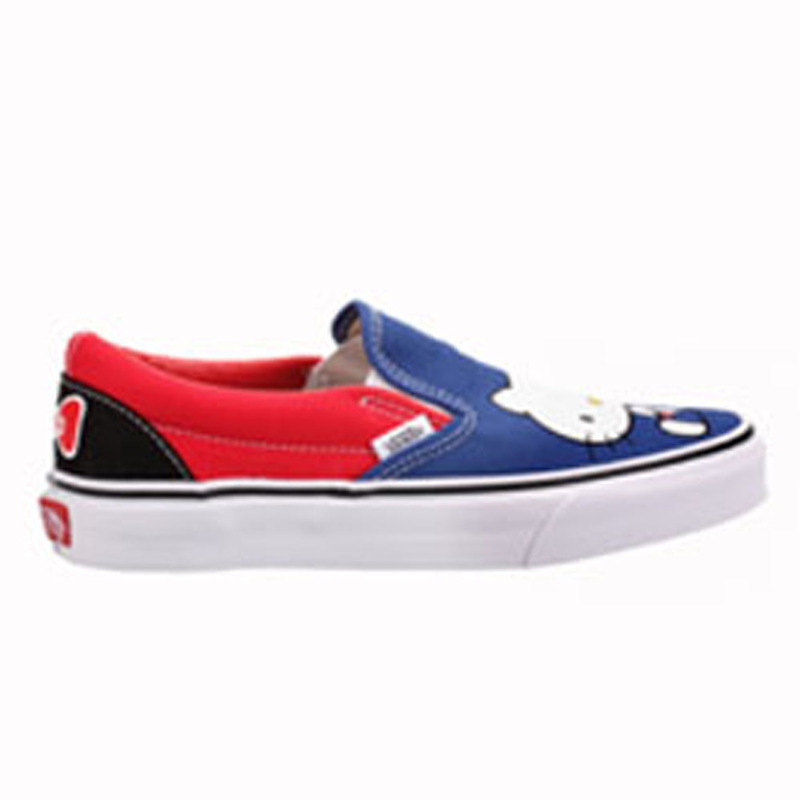 They have an extra grippy bottom, so no floors going to get the better of you! 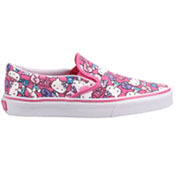 If you have been looking for some cute shoes for grown up girls, you have found the right ones!